Hey everyone… this is our busiest time of the year – August and September. Everyone’s back from vacation, kids sports are in a lull and schools starting soon. We have your outdoor entertainment plans. Beat the rush and order now!! We are offering a 10% off coupon to anyone who posts a link to our Facebook page on their Facebook and tags us – @mymoonlitmovies. MyMoonLitMovies Facebook page Coupon is good for 2017 and is good for equipment only. Watch the Cubbies make history with your friends and neighbors on a huge outdoor screen!!! …or the Blackhawks!! …or the Bears!! We rent packages for 1 to 500 people. Order a movie night now for Spring and Summer before the rush. See the packages available. 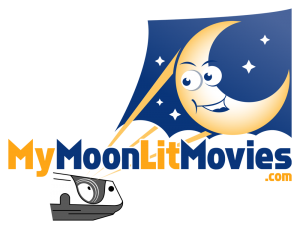 Welcome to MyMoonlit Movies new website! We will post updates and new developments here – so check back often.